Meet Shae. Shae was a travelling nomad for 3 years and is now a social media superstar! More importantly she is a self-appointed “TEDx super fan” and stand up poetry is her jam! With over 2 years’ experience working in the social media space she has helped clients like LEGO and Coca-Cola win socially-led awards. Shae lives and breathes all things social media. Aside from being a #hashtag junkie, she also prides herself on her think-outside-the-box mentality and strong knowledge of what works well in the social media space. In November 2017, Shae joined The Wired Agency, a boutique digital agency located on Manly beach, working across global clients such as Pizza Hut and Lake Wanaka Tourism. Shae’s love for ‘working where you live’, along with yoga and the beach has grown from strength to strength. She is passionate about being a part of a community who are focused on spreading life changing ideas and being a voice for change. 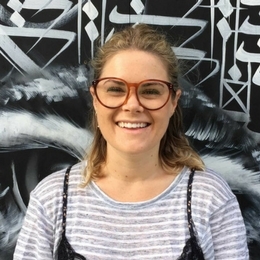 Shae has experience across clients in industries including: retail, FMCG, automotive, B2B, medical, health, insurance, tourism and hospitality and this year commenced as a volunteer on the TEDxSydney marketing team.